KELOWNA, B.C. – December 4th, 2018. 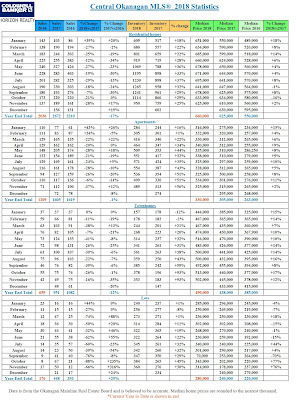 November saw residential sales posted to the Multiple Listing Service (MLS®) drop to 459 for the Peachland to Revelstoke region, a 28% decline from the previous month and 24% fewer sales than this time last year reports the Okanagan Mainline Real Estate Board (OMREB). "Last month, we waited to see how the market would react to the Bank of Canada’s latest interest rate hike and the BC government’s tabling of their speculation tax and while the market traditionally slows this time of year, we are also likely seeing the effects of these actions," comments OMREB President Marv Beer. 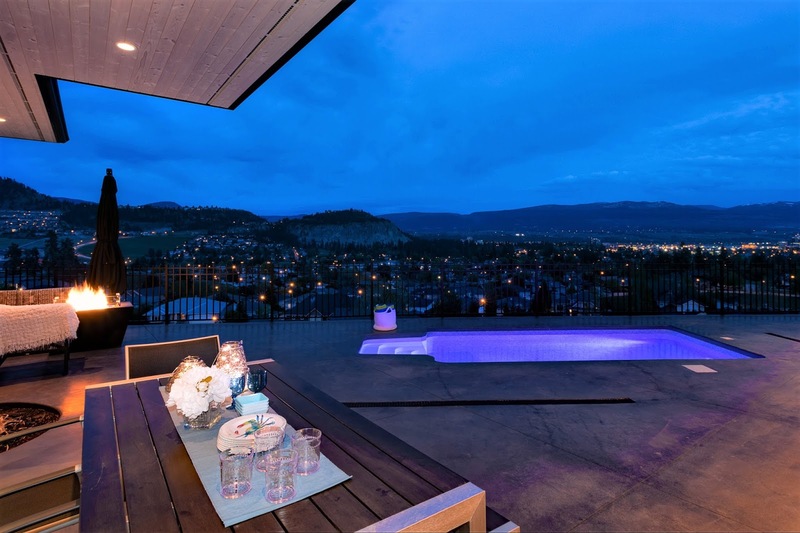 This LUXURY ONE OF A KIND home is perched atop a rock bluff overlooking Kelowna & Okanagan Lake offering unobstructed 300 degree views. Live the PENTHOUSE LIFE like no other! Located on the edge of downtown Kelowna this property offers an exceptional living experience with a floor plan that shines! 4 beds + flex room & 3.5 baths all have jaw dropping views & the open living space flows right to the outdoors complete with dipping pool (along with a SwimPro system for fitness), eating/lounging areas perfect for the fire table along with access to a full size hot tub. A CHEF’S DREAM, the modern island kitchen not only has several work stations it comes complete with a 6 burner gas Jenn-Air stove topped by a custom eye catching industrial range fan, a huge fridge/freezer combo, butlers pantry with second sink & direct access to a large laundry room with dog bath & built-in cabinetry. The MAIN FLOOR MASTER bedroom is a SPACIOUS RETREAT & a place to relax. With room for a king size bed, you’ll love the sweeping valley and lake views and when it’s time for sleep there are floor to ceiling BLACKOUT DRAPERY. Inside the SPA-LIKE ENSUITE you’ll find double vanities, a soaker tub as well as a walk-in BEACH SHOWER with it’s own VIEW WINDOW overlooking Dilworth Mountain and Kelowna Golf and Country Club. This unique home also offers other great features such as an OVERSIZED GARAGE, EXTRA SOUND PROOFING features & a huge storage area. CHRISTIAN KIRSCHKE, COLDWELL BANKER 250-863-2000. 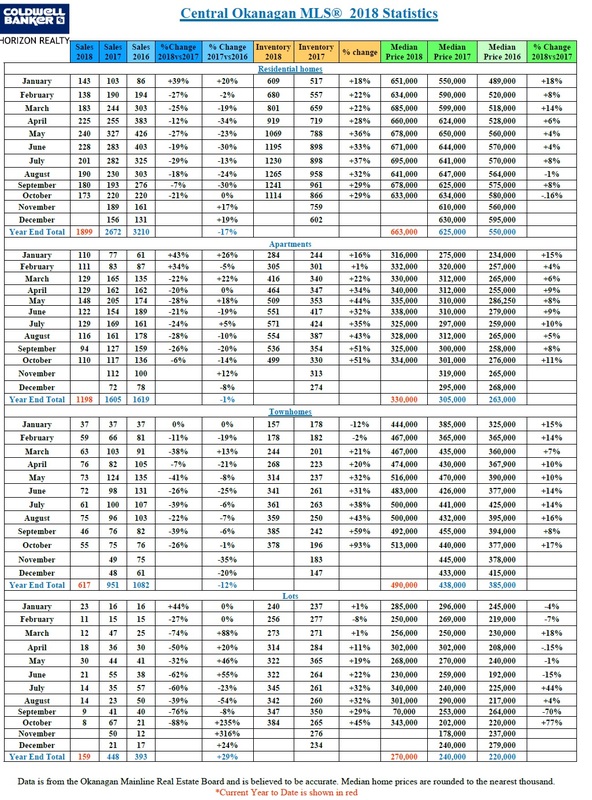 October market shows that the growing housing supply is a strong indicator of continued movement towards a balanced market where sellers and buyers are favoured more equally. 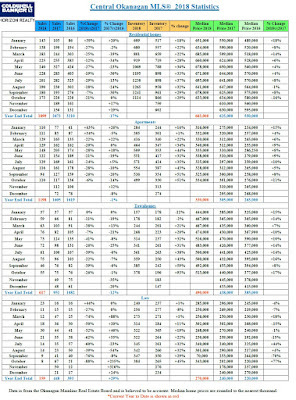 Visit: www.OMREB.com for for market statistics. 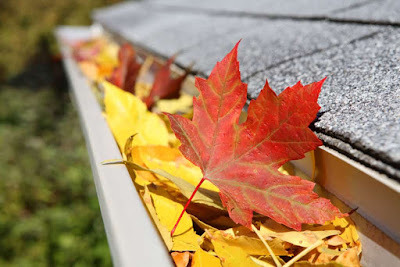 It is almost winter in Kelowna and that means it is time to clean out the gutters if you have not already, this is a great way to get your home ready for sale and helps prevent future damage or issues. I recommend hiring a professional to clean your gutters as it can be a dangerous and tedious job, but if you feel like taking on the task yourself here are some helpful hints to get the job done. Ladder Safety: Ensure someone is on the ground helping you secure the ladder, one miss-step and it could be costly. Orchard ladders with three legs are not recommended, be sure to use a sturdy four leg ladder with a secure platform and a five gallon bucket to collect debris. Garden Hose: A regular garden hose with municipal water pressure is sufficient and attached a pistol grip spray nozzle to the end. This type of nozzle can regular water pressure and direction and can be purchased at any hardware store. Gutter Scoop: Scooping out the leafy debris seems to be the best overall method for cleaning out the gutter. An excellent tool for this job is the bright orange plastic “Gutter Getter Scoop,” which can be purchased at most hardware stores. This tool is unique because the front scooping edge is very thin and it forms itself to the bottom of the gutter trough, making it easy to scoop out even the toughest of debris in any size gutter system. Stay away from a metal scoop such as a garden shovel, this can scrape the bottom of the gutter and cause damage and future rust which will deteriorate the gutters. Gloves: This will protect you from whatever bacteria may be lurking in the gutter debris. Leather gloves are recommended as rubber can rip and tear from the metal edges. Rake off the Roof: Debris can be left on the roof and will wash down the next storm. In order to prevent your hard work going to waste, remove the debris first. Downspouts Unclogged: After you have cleaned the gutters, direct the water pressure into the downspout to flush out debris. Clean gutters two times a year: Make sure gutters are cleaned at least twice a year, once in the fall and again in the spring. One main reason for cleaning out gutters is to eliminate the possibility of water damage from rainwater runoff due to a clogged gutter. Another reason is to reduce the possibility of rust corrosion. Even though it may not rain during the summer, if there is debris in the steel gutters, the rusting process can speed up. It’s difficult for rust to speed up with clean gutters. The faster the rusting process, the sooner new gutters will be needed. Keeping your gutters from damaging your home will maintain is value and prevent possible issues with foundation and siding. Gutter Guards: There are many great products that can be installed onto the existing gutters or the option of new gutters can give your home a spruced up look and make it more pleasing to buyers. Visiting your local hardware store is an excellent place to start. There are many gutter professionals that we would be happy to recommend should you choose to repair or replace your gutters. Gutter cleaning is an important step in home maintenance and something a home inspector will look at when you sell your home. Prevention is key and keeps your home looking sale ready. 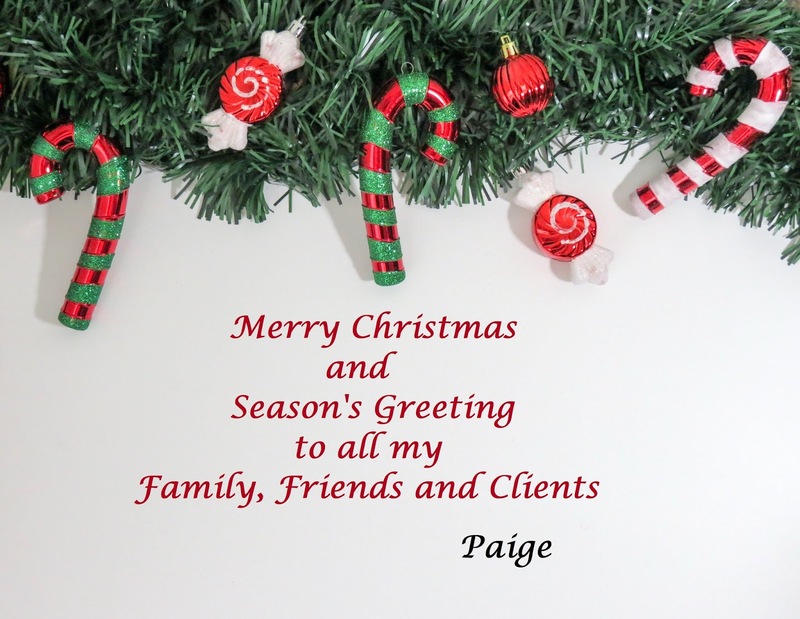 If you are thinking of buying or selling, give Paige Guernsey, an award winning real estate agent in Kelowna, BC direct at 250-862-6464. Kelowna - Our Future City! This video, presented by Aplin Martin, gives a glimpse into what the future of Downtown Kelowna could look like. The future build out follows the City of Kelowna’s Official Community Plan for C7 zoning. We have assumed lot consolidation and and form and character (and of course a second bridge crossing!). All massing within the C7 zoning boundaries is geographically referenced and have a podium height between 4-6 stories and a building height between 12-38 stories (allowance for few variations to the permissible height under C7). The video cycles through The current landscape (Existing), in stream (Pending) applications with actual models (Revit, skp, Rhino and others), and what is to come (Future). Based on the City of Kelowna’s projected need of 1100 new multi family dwelling units per year moving forward, and assuming C7 zoning will house 25% of the projected growth, this is what Downtown Kelowna could look like in approximately 30-40 years!